Finca de Uga is the high quality farm which produces food for many top restaurants on the island, including The Princesa Yaiza Hotel. 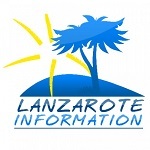 We have the date for Wine Run Lanzarote 2019. Run, walk, eat & drink at this popular event for athletes and foodies and finish with a cracking party! We visited Bodega Vulcano, the boutique winery in Tias, to find out more about them and of course, to taste their excellent range of wines.